On the 20th of February 2000, Gordon was invited to become a member of The Grand Order of Water Rats. His proposer was the Crown Prince of Skiffle Mr Chas McDevitt, and his seconder Dec Cluskey of The Bachelors. To be a member of this distinguished Order is indeed a great honour. Membership currently stands at 180 and has never been more than 200. It's present members include Brian May, Rick Wakeman, Sir John Mills, Sir Norman Wisdom, Joe Pasquale, Roy Hudd, Bert Weedon, Jim Marshall, and many, many more. The Grand Order of Water Rats is the oldest show business charity in history and raises thousands of pounds each year for various worthwhile charities. 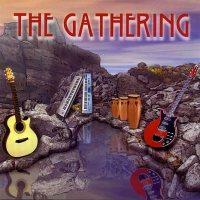 In 2003 Gordon was the driving force behind the release of a cd called The Gathering which featured tracks by many of the well known musical Rats and was sold exclusively to raise funds for their charities. Next time you see Gordon, look carefully at his jacket lapel and you will see a tiny gold Water Rat badge that is worn with pride by all the members. For anyone interested in the work that this fine charity is involved in then look at their website.